Tokyo’s most famous fish market, the Tsukiji market, has closed down after being in business for 83 years. Tsukiji, the largest fish market in the world, will now be turned into a temporary parking garage for the 2020 Summer Olympics which will be held in the Japanese capital. 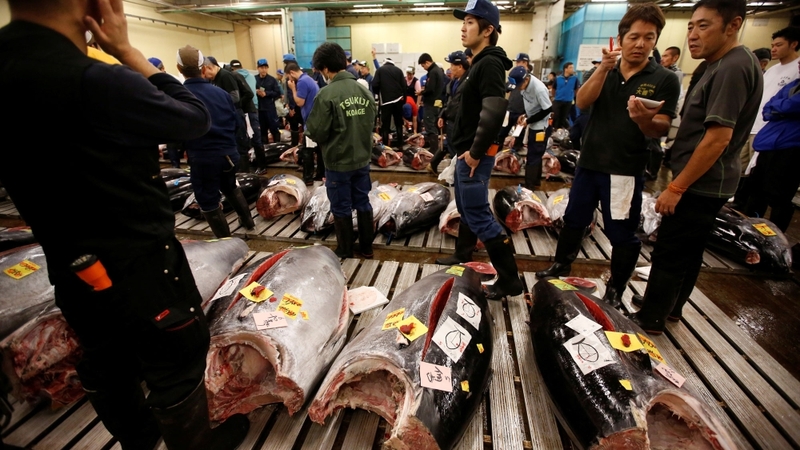 On Saturday, Tsukiji held its last auction, with a 162kg tuna being the most expensive fish of the day. The fish went was sold for 4.3 million yen ($37,818). “I am very grateful and happy that we could have continued business smoothly all these years until today. I would like to thank Tsukiji from the bottom of my heart,” chairman of the Seafood Wholesalers’ Association Hiroyasu Itoh was quoted as saying by Reuters news agency. The market drew tens of thousands of visitors every year, enjoying the sights of exotic fruits and fresh fish. In January, a prized blue fin tuna was sold for a hefty price of more than $320,000. 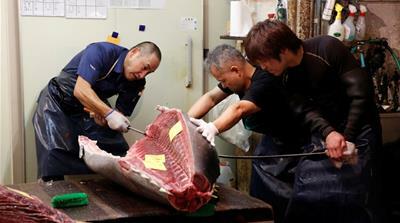 In recent years, Tsukiji’s age began to show, leading to unsanitary situations and the plan to move to a new location. Tsukiji will provide temporary parking for the Olympics and eventually become a tourist centre. “I am sad to see Tsukiji close but I do look forward to seeing what the land will be used for after this and how Tokyo will develop going forward,” Takeshi Ohashi, a 44-year-old former Tsukiji worker, told Reuters. The new location for the market is Toyosu, a man-made island built for $5bn in Tokyo Bay. The plan to move the fish market originated 17 years ago, but the discovery of toxic substances in the groundwater and soil in 2016 led to several delays. Eventually, the contaminated areas were cleaned using underground wells and the location was declared safe by Tokyo Governor Yuriko Koike in July this year, opening the doors to its official inauguration next Thursday. Previous articleIs Scottish independence still possible?